Dr Nikos Karydis will be giving a talk entitled ‘New Design in the History Centre of Canterbury’ as part of The Canterbury Trust on Wednesday 1st June at 7.30PM at the Friends Meeting House, the Friars. 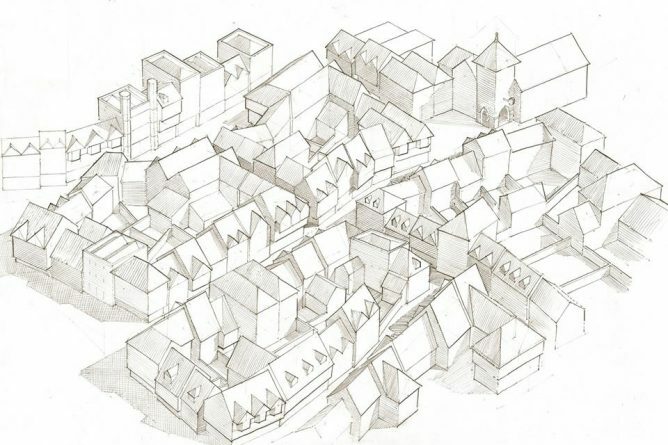 How can cities such as Canterbury achieve a sympathetic balance between old and new? The design of new buildings that adapt harmoniously to the historic context plays a key role in the preservation of the character of historic neighbourhoods. Different approaches will be assessed with reference to possible interventions in different parts of Canterbury. Analysing these approaches helps to establish design methods that enable architects, designers and planners to enhance the historic environment.